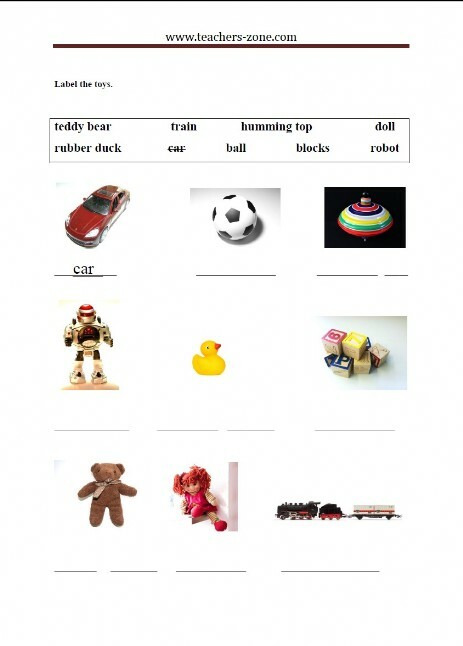 Pre-teach vocabulary with toys flashcards (1). 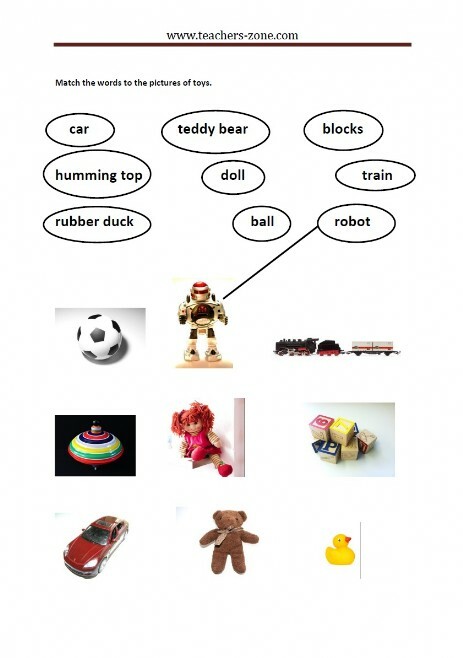 Match the toys to their names. 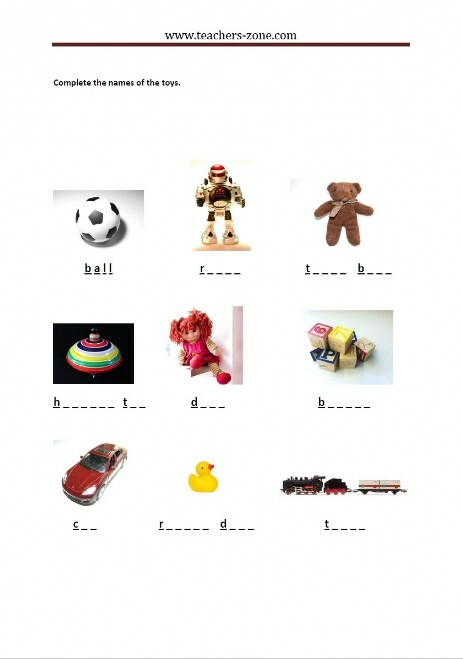 Complete the names of the toys. 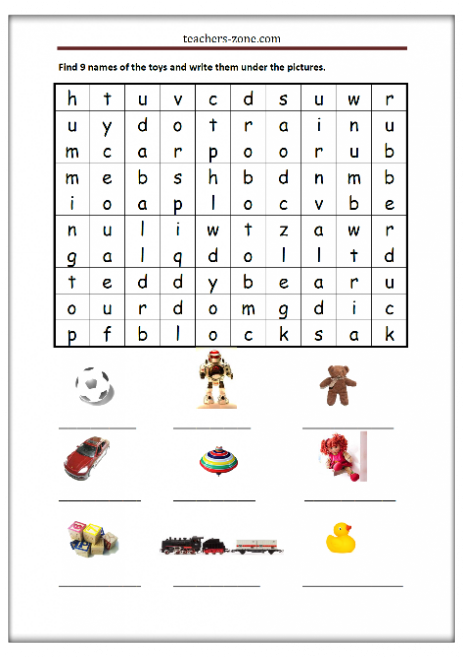 Find 9 names of the toys and write them under the pictures.